Confirmation is not an end but a beginning. Renouncing Satan, believing in God, the Lordship of Jesus, and the power of the Holy Spirit, fully initiated in the Church, the confirmed are now ready to start. 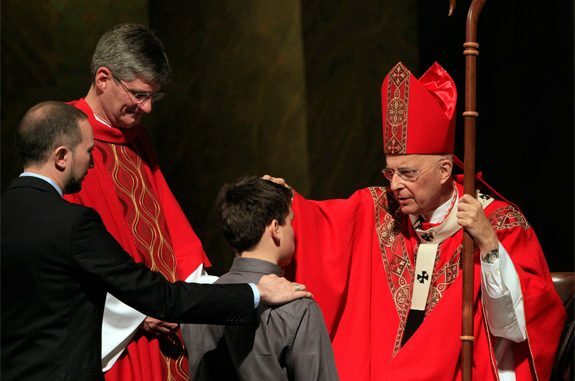 One of the greatest privileges I have as a bishop is the opportunity to preside at the sacrament of Confirmation. 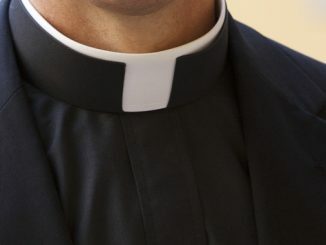 A drawback, however, is that I am obligated to conduct over forty Confirmations in roughly a two month period—which means that I become tired, rather quickly, of my own homily! As a result, I’m frequently shifting gears, trying out new ideas, looking at the complex phenomenon of Confirmation from a variety of angles. I want to share with you in this article some of the key ideas in the latest iteration of my Confirmation sermon. Immediately prior to the prayer, which calls down the Spirit on the candidates, the Bishop leads them in a re-affirmation of their baptismal promises. I tell the young people that parents and godparents made these promises for them when they were babies, but that now they will have the responsibility of making them in their own name and while they stand on their own two feet. The first promise is negative in form, which is only natural, for to set one’s face is necessarily to set one’s back. And so the confirmandi declare that they renounce Satan and all his works and empty promises. These empty promises, I tell them, can be heard everywhere in the popular culture. They are in practically every movie they watch, every song they listen to, every casual conversation in which they engage: “you will be happy if you just get enough wealth, enough pleasure, enough power, and enough honor; if you fill up the empty heart with a sufficient amount of these worldly goods, you will find satisfaction.” At this point, I usually ask them to consider the image of the crucified Jesus, prominently displayed in the church. Notice, I say, that we don’t have an image of Bill Gates or Donald Trump or Beyonce on the central axis of the room, but rather that of a man being tortured to death, someone devoid of all wealth, pleasure, power, or honor. The remaining promises assert what the confirmandi are for. The first of these positive formulations is the simple assertion of belief in God. This is much more than a statement of intellectual conviction; it is, instead, an affirmation of the meaning and direction of one’s life. To believe in God, is to know, I tell the young people, that your life is not about you. A baby’s life is all about himself, the meeting of his immediate needs. But as the child matures, he realizes, increasingly, that he has obligations and connections beyond himself—to his family, his community, his culture, his country, and finally to God. The central narrative of the Bible—repeated again and again—is that people find who they are precisely in the measure that they hear and follow the voice of God inviting them on mission. To say, therefore, that you believe in God is to break out of the shell of a self-regarding egotism and to launch out into the deep, to go on a spiritual adventure. After declaring their belief in the Son, the confirmandi are invited to affirm their belief in the “Holy Spirit, the Lord and giver of life.” The Holy Spirit, I explain, is the love that obtains from all eternity between the Father and the Son. Gazing at one another, the first two divine persons breathe forth their mutual love, and this holy breath is the Spiritus Sanctus. Therefore, the Spirit is the love that God is. 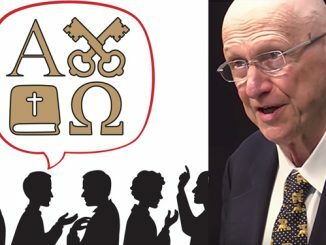 Now in the first promise, the confirmandi announce what they are against, namely, the claim that wealth, power, pleasure, or honor will make they happy; in this promise, they unambiguously declare what alone is sufficient to satisfy the infinite longing of their heart: the infinite love that God is. Don’t worry, I tell them, about whether you are rich or poor, famous or forgotten, powerful or powerless; worry, instead, about whether you are growing in your capacity to love. For love is what your heart finally cares about, and love is what you will carry with you into heaven, when you leave all the rest behind. 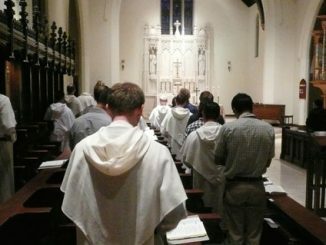 Finally, the young people are invited to affirm their belief in “the holy catholic Church.” In an anti-institutional, anti-authority time such as ours, this is a hard promise to make, but they have to remember, I tell them, what the Church is. The Church of Jesus is Christ is not an organization or a club. From such a voluntary society, one can legitimately withdraw. But as Paul told us long ago, the Church is not an organization, but an organism, a living body, of which Christ is the head and all of the baptized are cells, molecules, and organs. The Church is the mystical body that the Logos has taken to himself, just as surely as he took to himself a physical body in Palestine two thousand years ago; accordingly, it is the vehicle by which he continues to do his work in the world. To withdraw from it, therefore, is to block the flow of grace. Many of the confirmandi, at least here in Los Angeles, wear red gowns that look very much like graduation robes. I emphatically tell them that these are not graduation gowns, but gowns of initiation, for Confirmation is not an end but a beginning. Renouncing Satan, believing in God, the Lordship of Jesus, and the power of the Holy Spirit, fully initiated in the Church, they are now ready to start. Just a few months ago, Pope Francis made the same point when speaking to a group of Italian students approaching Confirmation. 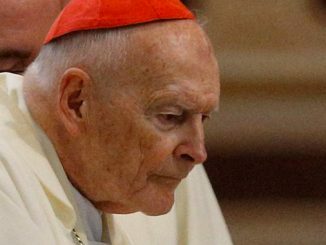 Remember, he said, Confirmation is not the sacramento di arrivaderci! (the sacrament of “see ya later”).